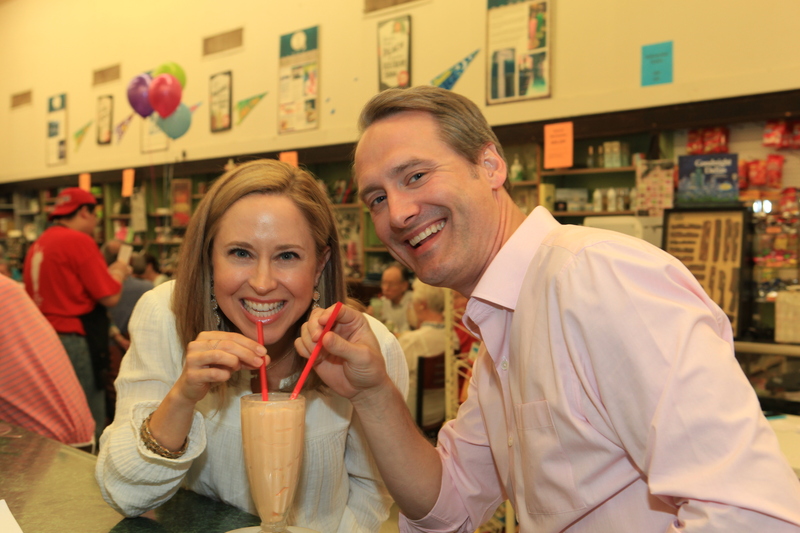 Along with the smell of freshly made grilled cheese sandwiches and the whirl of homemade milkshakes, nostalgia filled Highland Park Soda Fountain a few days before its closing. 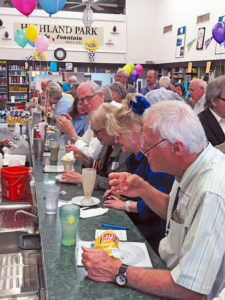 The decades-old establishment held a final farewell hurrah before shutting down in advance of major redevelopment of the block it shares at Travis and Knox streets with Weir’s Furniture. Plans for a 12-story retail and office tower with 800 spots of underground parking show the façade of the historic pharmacy building remaining, but soda foundation owner Gretchen Minyard Williams said she’s “not sure” if she will reopen when the $150-million-plus project is completed. Demolition and groundbreaking are scheduled for 2019 with construction expected to take 18 to 24 months. Weir’s plans to be back with its new front facing Travis. 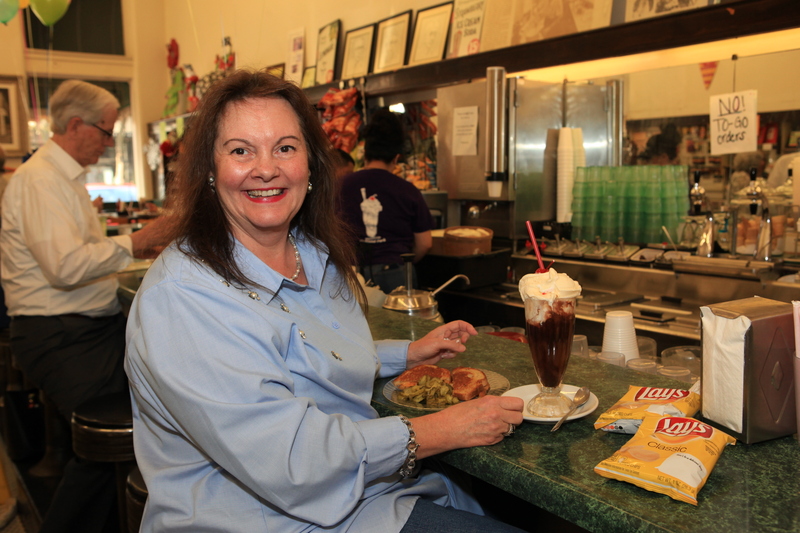 The soda fountain has been a part of the Weir’s lease for some time now, and while Williams said her business has “been invited back,” she doesn’t want to commit to something that is still at least two years away. 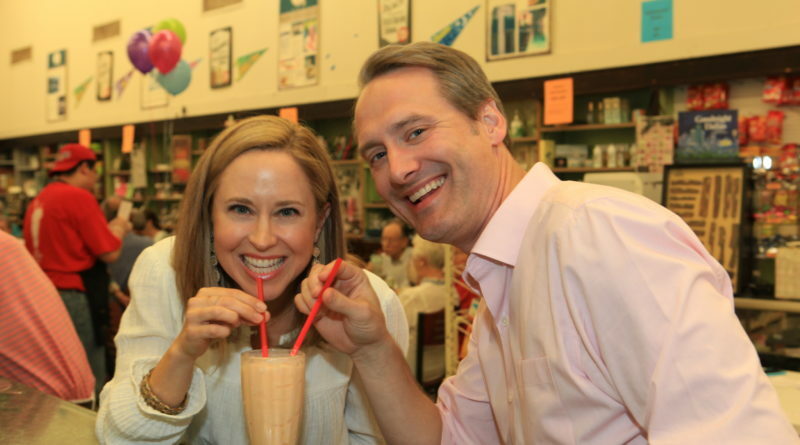 The soda foundation turned 100 in 2012, but the food remained the same – a classic grilled cheese sandwich, served with pickle slices, and a hand-spun milkshake, among other fan favorites. 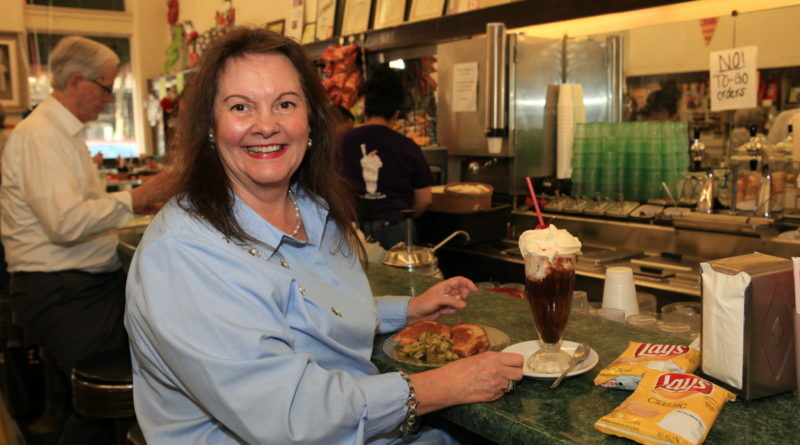 When Williams and her husband, Sonny, bought it in 2006, they made sure the menu remained the same from what it was when they were children. 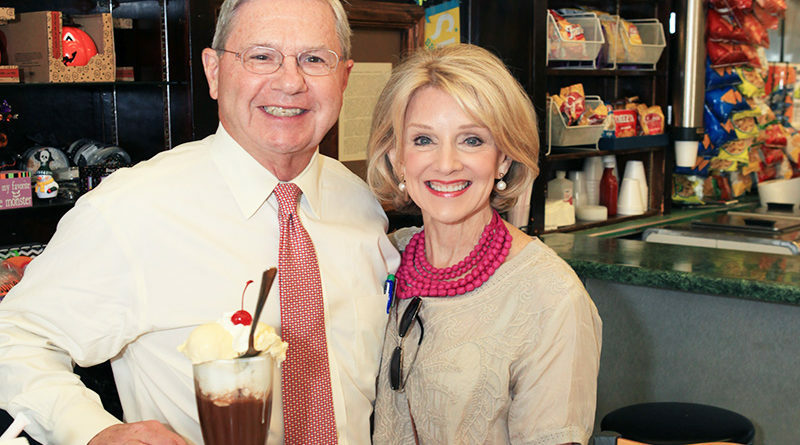 Many residents who visited the soda fountain on the evening of Sept. 4 were appreciative of the food, among other things, that reminded them of the very same place they visited in their formative years. Jolie and Bart Humphrey said they would bring all three of their children on a regular basis until they were old enough to walk to it themselves. 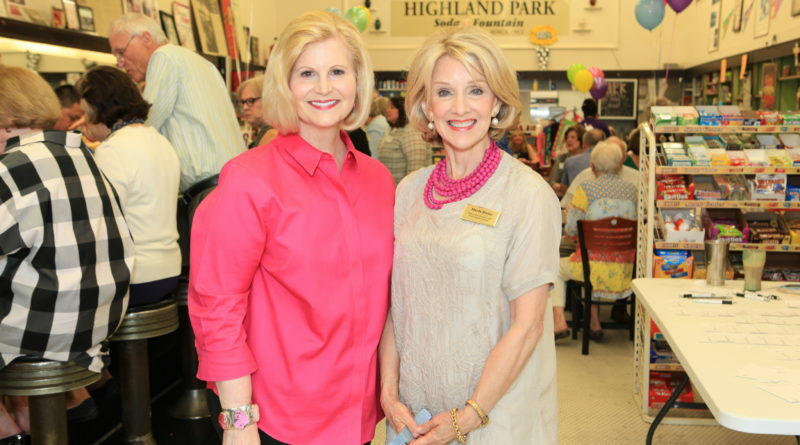 Highland Park Soda Fountain will have a booth at the State Fair of Texas, Williams said. Residents will be able to enjoy all the same food at the booth during the fair, which runs through Oct. 21. 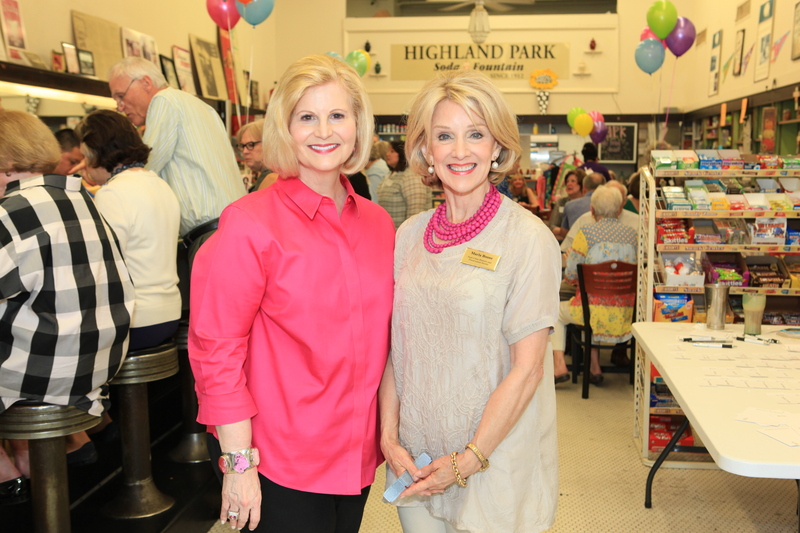 “Just seeing all of these people here, it reinforces what a great thing this place is to the community,” Williams said.